Russ Taylor is the Chairman of the Board and heavily involved in the event planning and fundraising for our Foundation. Russ is diligently working towards expanding the charity statewide. He currently lives in Montgomery and Santa Rosa Beach and attends St. James United Methodist Church. 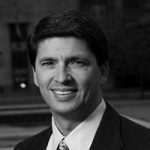 A Montgomery native, Russ is the President of HighPoint Holdings located in Birmingham, Alabama with a diverse business background. An innovator and business leader, Russ graduated from Auburn University at Montgomery with a degree in finance. He assisted his partners with the launching of a healthcare holding company where he was instrumental in negotiating and structuring leases, acquisitions and financing for the company. The company still maintains facilities in numerous states in the Southeast. He later worked with Transamerica Asset Management Group where he helped provide investment and retirement services for ERISA Funds for numerous TAFT-Hartley retirement plans. Russ later achieved success starting a financing and consulting company with numerous transportation industry clients that are functioning and thriving today. As President of HighPoint Holdings, Russ has helped arrange financing and raised equity for a variety of projects, but he has been also instrumental in nurturing and expanding client relationships all over the Southeast.